Reading has always been one of my loves . I have read from as young as I can remember and it’s one of my favourite things to do- a hot cup of tea and a book is my kind of thing. I’ve been struggling to find Amy time for myself lately . With three kids , and being self employed , not to mention a house to run , finding time for me is probably impossible , but I’ve decided that it has to stop and realised that everybody deserves time out. I’ve made a conscious effort to start doing more things for myself and that starts with reading . 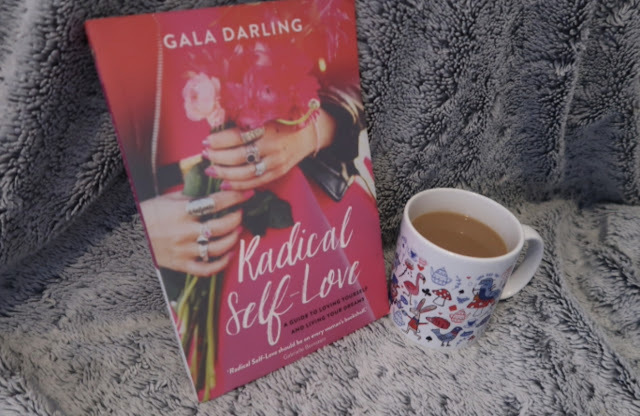 This first book I picked off my shelf is Radical Self-Love by Gala Darling. I purchased this book quite a few years ago and have always said I hadn’t had the time to sit and read it and struggled to find the time . It’s one of them Books that needs dedication , if your a reader then you’ll know what I mean. I now know the reason I hadn’t got into it was because this moment in time is when I really needed to. The book is a guide to loving yourself and living your dreams .It is broken up into three section : loving yourself, loving others and daily magic. I am a spiritualist and daily magic section I’m really excited for . 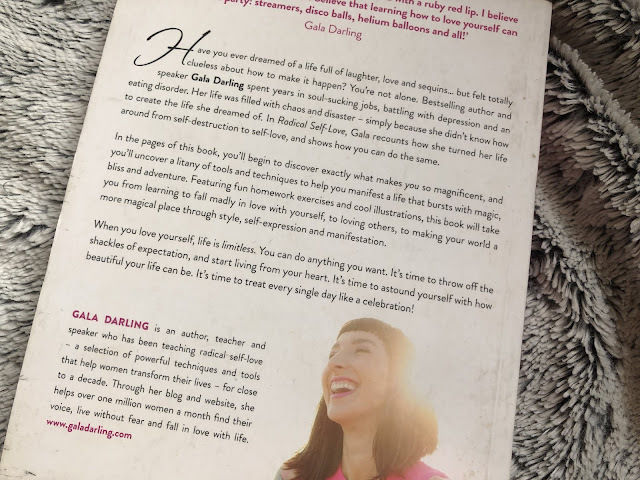 Loving yourself has been such a lovely area to work on within this book. The best ok comes with exercises and ‘homework’ which compliments the sections and I’m definitely getting a lot out of it . I’d advise a little book to keep track of your exercises and thoughts and feelings . Self love - loving yourself ? What does that mean to you? . We sometimes get confused and think it’s egotistical or vain but I can tell you that is not the case! It’s all about treating yourself the way you would treat others , your very close friends and family .